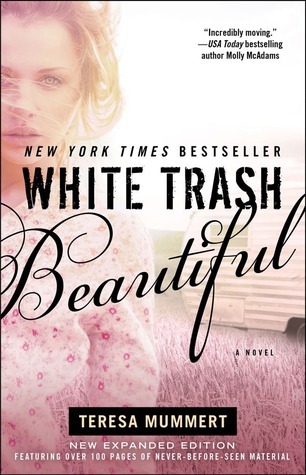 White Trash Beautiful, by Teresa Mummert, has completely blown me away! I was invested in this book immediately, and couldn't put down this story! I found myself falling asleep with the iPad in my hand, because I didn't want to put it down to go to sleep. Then, while I was dreaming, I found myself dreaming about this book! After I woke up, I picked up the book right away, and continued reading. I found myself completely, and utterly mesmerized by White Trash Beautiful. The story is told by the main character, Cass, who has had a very difficult, and unfortunate life. She tells the story in the present tense, but often looks back at her past memories, as the story continues. Cass was raised by her mother and father in poverty, with lack of the bare essentials of living. Her mother tried to give her a good childhood, and shield her from as much family dysfunction as possible. However, Cass' father physically abused her mother, and as finances got worse, Cass' father abandoned them both. As Cass grew up, she met Jackson (Jax) in high school. He was popular, good looking, confident, and defended Cass against bullies. He was Cass' first love, and knight in Shining Armor. Eventually, Cass and Jax became inseparable, and he moved in with Cass and her mother. He ended up buying them a rundown Trailer, in a trailer park. Cass was a hard worker, and was a waitress at a little hole in the wall diner. She worked endless hours, and stashed away a small amount from her tips, with the hope of bettering her life, getting her family out of the trailer park, and into a home. Unfortunately, she ended up being the sole provider when her boyfriend Jax started selling drugs. He became hooked on the product that he was selling, and got Cass' mother addicted as well. From that point on, any money he made went on drugs, he began beating Cass, and would constantly harass her at work for more money to support his drug habit. There was never any food in the house, and Cass begged her mother and Jax to quit doing drugs, but to no avail. Cass became stuck in a hopeless, and bitter life, and developed a hardened heart, and a large attitude. Little did Cass know how much her life would change the day she met Tucker, a gorgeous, 6'3", tattooed, 23 year old man. He came to the diner Cass worked at, and engaged her in small talk, was very friendly, and tipped generously. He continued visiting Cass at work, and she found herself not only attracted to Tucker, and enjoying her time with him, but saw him for what he was, a genuinely good guy. As Cass and Tucker's friendship grew, things got very complicated in Cass' life. Then, she found out that Tucker was the lead singer in a successful band called Damaged, and thought that what she felt for Tucker was only a fairytale, and not her reality. However, real love is powerful, and can't be underestimated in the scheme of life. There were many reasons that I enjoyed, White Trash Beautiful. I loved the progression of Cass and Tucker's relationship. It developed at a good pace. They started out as friends, and even though their feelings grew for one another, they did not act on them for quite a while. The transition from friends to lovers was smooth, and natural. Also, even though at times I would get frustrated with Cass for going back and forth about Tucker, and not leaving Jax, I understood her rationale. She felt like she wasn't good enough for Tucker, and had very low self-esteem. She didn't feel worthy of love or happiness, and it was no wonder, with the dysfunction of her childhood. Also, she felt like Jax had "rescued" her when she was in high school, and he needed her help now that he was addicted to drugs. She also felt responsible for her mother's well being. I felt bad for Cass. She worked hard, and tried to take care of her mother and Jax, but had no one to take care of her. When Tucker came into the picture, he really was like a modern day knight in shinning armor. It was easy to see why he was attracted to Cass. He had a tough childhood, and they could relate to one another. Plus, he had never felt loved or wanted, until he was "rescued" one day, and he saw a lot of himself (and who he used to be) in Cass. Tucker was extremely swoon-worthy! He really knew how to sweep a girl off her feet, by treating her like a priceless treasure, and lavishing her with attention, romance, gifts, and adventures! I fell in love with Tucker myself! Ms. Mummert's descriptions were seamless. I pictured every detail from the trailer park, to the diner, to all of Cass and Tucker's dates. The primary and secondary characters came to life for me. I felt like I knew Cass, Tucker, Cass' Mom, Larry (Cass' boss), "The Twisted Twins" (Tucker's bandmates,) Dorris, (Tucker's adoptive mother) and pictured everything, as if a movie reel was playing in my head! My connection to the story was so strong that I found myself on an emotional roller coaster from the very beginning to the very end of the story. I felt heavy hearted at times, hopeful, scared, devastated, excited, melancholy, and was overwhelmed with so much feeling! I'm happy to say that White Trash Beautiful, did not have a cliff hanger ending. However, it is the first book in the White Trash Trilogy. The second part, titled Damaged, will be coming out October 8, 2014, and the final book, White Trash Love Song, will be on sale January 14th, and they will be published by Gallery Books, an imprint of Simon and Schuster! I can't imagine having to wait so long to read the rest of the series, but I know one thing for sure, Damaged and White Trash Love Song will both be auto-buys for me! I give, White Trash Beautiful, 5 Fast-Paced Favorite, Phenomenal, Fantasy Lover, and Frenzy Filled Passionate Stars! This story is fantastic! It is a story filled with the harsh realities and struggles that occur in some people's lives, and deals with heavy topics, such as drug abuse, abandonment issues, poverty, and domestic violence. As you can imagine, this story is angst-filled, and will make you feel a array of emotions as you read it. As a reader, I felt anger, frustration, sadness, and also, excitement, hope, elation, and joy for the main character, and her circumstances. I would put this in the same category as other great angst-filled, and passionate New Adult Romances, such as, The Sea of Tranquility by Katja Millay, Hopeless by Colleen Hoover, and The Coincidence of Callie and Kayden by Jessica Sorenson! Read this book! It is a deep, thought provoking, story of substance, that will stay with you long after the last page has been read! 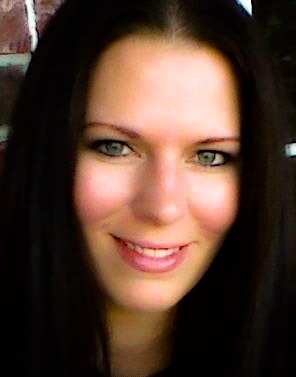 We would like to invite the talented Teresa Mummert to our blog! We are both honored, and excited for you to share a little bit about you, with all of us!! What are 5 things that you like to do in your spare time? 1. When I am not writing I try to come up with some fun things to do with my children. They don't get to see a lot of me when I am tucked away in my writing cave. We like to take trips down to Orlando and spend time at Disney or just down the road to Savannah. 2. When we aren't out and about I spend a lot of time reading. It is by far my favorite way to pass an afternoon. It also helps get the creative juices flowing for my next book. 3. My family and I are also into watching films. We try to catch all the latest movies when they come out. It is the second best thing to reading for me. 4. When I'm not out having fun, I am writing book outlines for future projects. Believe it or not, it’s something that I genuinely enjoy! I always have at least four projects going on. 5. I also make most of my own covers and promoting takes up the rest of my spare time. I love it! I work really hard but think it is important to play just as hard. I saw this book on Goodreads the other day and was a bit curious about it even though I rarely read contemporary novels. This sounds like an emotionally powerful read. Thanks for the detailed summary and review! Thanks for reading it, and leaving a comment Donna! Damn, I’ve had this book since it was still an Indie. It looks so good but I just keep forgetting about it. Love the new cover and happy you liked it. And I saw your 3 swoons! Glad to see I’m not the only that couldn’t make up my mind. Too much swooniness! I hope you get to read it soon :) As for the Swoons, Lol! When a book is really good, it just to hard to choose one! I am just learning about this. It sounds like like an, "I can't put it down!" kind of book! Love the trailer,except it kept freezing on me. It was! Sorry about the book trailer! Wow! I hadn't heard about this one until your review, but it looks great! Thank for the review! It's international too! Tell Sarika, she should enter too! Very nice review. I'm adding this book to my TBR list. Thanks for the giveaway. I haven't heard of this one but it sounds SO good! :) It seems like I am reading more and more contemporary these days. Lindy, if this book has made you fall asleep with your iPad in hand, it really shows how much you loved it. Wow. I'm really looking forward to reading this book now. It does sound totally my type and I've come to relaise we kind of like the same books and seeing as you loved this one, it's a must read for me as well. Beautiful review! Thanks Sarika! I would love for you to read this book, and tell me what you think! Please delete my entry for liking the author's Facebook page. I thought I liked it before, but I didn't. Thank you. And great review! I look forward to reading this! Love the review! This sounds like a really good one. I might just have to buy it right now after reading your review :) I love books that are so good you can't put them down. The Guest Post was fun too, I always wonder if writers ever have time for anything other then writing. It is a hard task to accomplish. Thanks Christine :) It was an amazing story!